If you ever needed proof that the present-day high street is about winners and losers rather than the general decline that the media would have us believe, you could certainly do worse than look at the outdoor leisure sector. 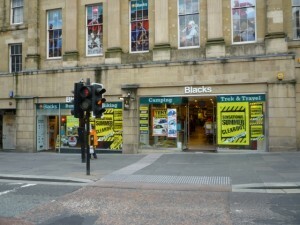 In January, Blacks’ collapse into administration – after several years of struggles – highlighted the dangers of a confused brand and an over-large estate of ageing stores. 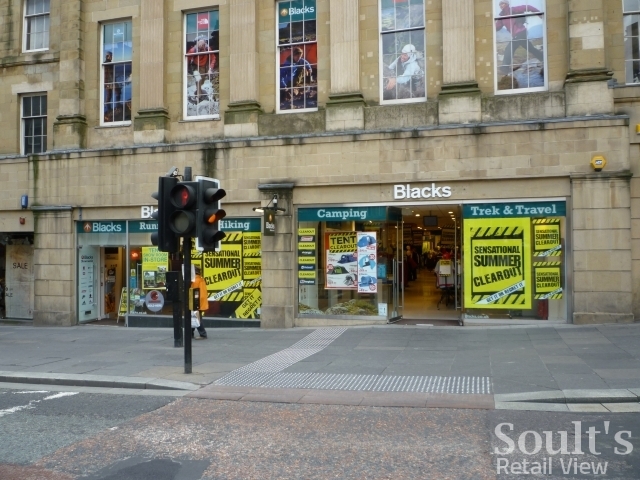 Though nearly 300 Blacks and Millets stores were rescued by JD Sports Fashion, a third of these have closed in the last six months as JD looks to restore the chain to profitability. Elsewhere in the sector, however, the picture is quite different. 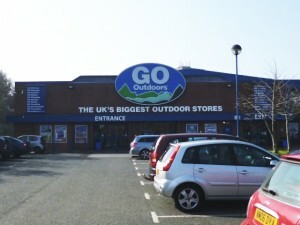 As I reported in April, the discounter Mountain Warehouse is thriving, having added more than 100 high-street stores in four years; meanwhile, at the premium end, Cotswold Outdoor is also quietly growing its chain, offering a superlative store environment on the high street and a distinctive positioning by communicating its sector expertise and tangible passion for the outdoors. Importantly, both Mountain Warehouse and Cotswold Outdoor also sell online, and the expanding out-of-town chain Go Outdoors highlighted the increasing convergence of physical and online retail by appointing its first multichannel director back in March. The recruitment of Jon Asbury – who led Halfords’ multichannel operation for 14 years – is, as Go Outdoors’ COO observed, “a significant message of intent to the outdoor retail sector”. Amid this complex picture of both challenges and opportunities, it’s clearly an interesting time to be an independent retailer within the outdoor leisure sector: needing to offer a personal and engaging instore experience that gives customers something distinctive from the big chains, but at the same time not ignoring the increasingly important role of online, both as a sales channel in its own right and, potentially, as a means of driving traffic to the physical store. One independent outdoor retailer that’s seeking to get that balance right is the Yorkshire-based Outdoor World Direct (no relation to the similarly named store that I visited in Whitby), and I spoke to the business’s David Scotland about how the firm has developed so far and where it sees its future. We are an independent, family-run retailer based in Huddersfield; we have two online web stores and a shop in the town centre of Huddersfield. Eric Scotland founded the business in Huddersfield when he opened our first store there in 1999. Since then, both myself, David, and my sister Ruth have also come into the business. We specialise in selling outdoor leisure and camping equipment to the general public. We have always prided ourselves on customer service and offering excellent value for money. 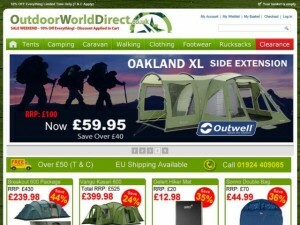 We started our first website – http://www.outdoorworlddirect.co.uk/ – in 2005, a really basic online retail store. Since then, the online store has grown and developed into a powerful website with a good following and an excellent choice of tents, camping equipment and walking equipment from quality outdoor brands such as Vango and Outwell. 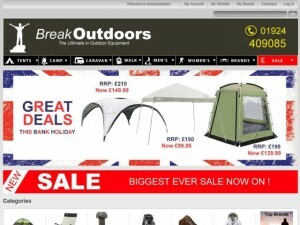 We then launched our sister site – http://www.breakoutdoors.co.uk/ – two years ago, offering a similar line of products and services. I wear a lot of different hats – running a small family business requires you to be flexible, patient, and have the ability to diversify to the business’s needs regularly. Since I started the website I have worked in every single department of the online business, whether it be packing the parcels, building the website, marketing the site or dealing with customer enquiries and issues. However, my primary role at the moment is moving the website forward and engaging with the customer base we have. I regularly answer the phone, deal with faults, repairs and issues, and listen to customer feedback to improve the site and our service. Customer feedback and reviews have become a really integral part of our business plan, as good customer service is the best type of promotion available, in my opinion. Word of mouth is a powerful marketing tool, especially with the likes of Facebook, Mumsnet and Twitter (@OutdoorWorldDir) becoming so prominent. We feel that in our industry you need both an online presence and a good store presence too. It’s easy just to close all the retail outlets and focus on an online business because of the lower overheads and wider audience, but the truth is that you need both aspects – the online stores and the retail outlets. However, they are two totally different animals, which need different management skills and different business strategies. Whilst there is absolutely no doubting that high streets are struggling and footfall is down, stores are still an absolute and we feel that there could come a time when the pendulum swings back towards shopping in store. People still need to see, feel and breathe in the product; this is the Internet’s greatest weakness, and the customer cannot really understand the technicality of the products we sell until they arrive on their doorstep. However, at the same time, customers are researching online more than ever, and even buying online more than ever, because it is more convenient and transparent. That’s why you need both aspects to the business. That’s a difficult question to answer, really. I think it is important for us to always diversify and find new and engaging products for our customer base. Products we used to sell in mass quantities five years ago do not have the same appeal because supermarkets and online giant retailers now stock similar items and there would be no way we could compete on price. So, for us, it’s about technical product, which has unique selling points that it is harder for supermarkets and large online retailers to copy. Also, listening to what customers have to say and adapting can be vital for us to push the business forward onto the next stage. There are so many challenges ahead. It’s hard to know which ones to talk about. Most of the current challenges faced are external threats such as the economic situation and vast uncertainty in the marketplace. You really do need a crystal ball to know what is coming next in this industry. Plus you have to buy a year in advance for most products, so it is difficult to know what product will be good for next year, especially when so many of our product sales are weather dependent. However, without a challenge, there would be no point to it – it would be too easy. Running a family business is one of the biggest challenges you could face; it does consume your life entirely sometimes, but at the same time there are great rewards, too, and it can be highly satisfying. Well five years ago, I had an exact plan of where I thought we would be now, and although we have achieved a lot of our objectives, some of them are dependent on the marketplace and that has changed beyond recognition in the last five years. So, I would not like to predict where this marketplace will be in five years, but I do envisage we will be as prominent as we can be online and we will endeavour to keep offering the best service we can, both online and instore. Not really! Thanks for the opportunity to talk about our business a little bit. Keep up the good work with your blog. We wish you all the best. There’s two answers to this really, from a retail point of view, yes it is annoying that people may use our store then go and buy it cheaper online. 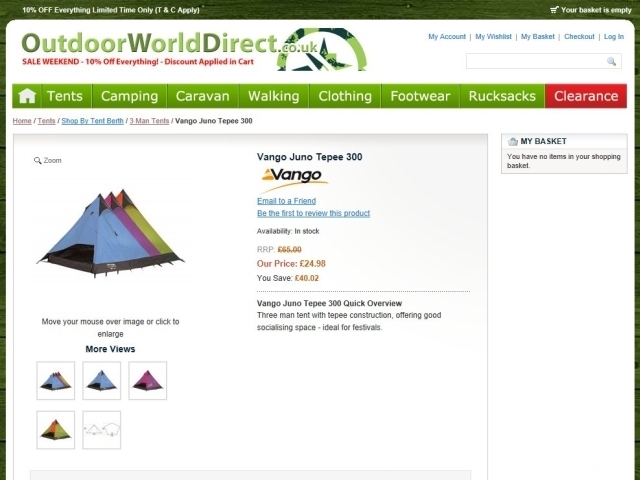 In fact, when we had a larger camping store and a garden centre display unit, A lot of people used to come along to glean the info they wanted, then purchase online! However, I did notice that when we had those two display operations, our internet sales from local areas did increase. So some of those people were still buying online from us. However, we have to look at it from both ends of the equation. We have an online store too, so in fairness, I imagine we have probably gained customers who have viewed the product elsewhere and then decided to buy it on our site because we may of been cheaper on price on that product. The biggest problem with the internet is the transparency. It has led to a totally open marketplace which has driven the margins down. Hope that answers your question anyway. I notice they didn’t focus on the question, what about the people that use your store to do the research and learn the technical bits, then go away and buy it online cheaper elsewhere!